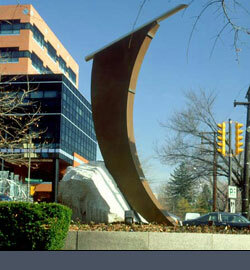 Commissioned by Artery Organization Corp and installed at their former headquarters building, Bethesda, Maryland on the outskirts of Washington, DC. 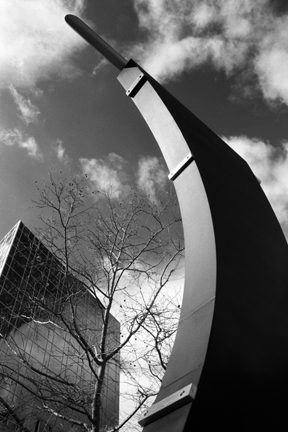 The piece is a solar calendar oriented on a north/south axis. The noon day sun creates a shadow that marks each day’s position in the yearly cycle reaching its longest point on the summer solstice, its shortest on the winter solstice.